Microsoft unveiled the latest addition to their Surface family, the Surface Laptop, in May 2017. It’s the first laptop with an integrated keyboard in their Surface range. Similar in size to the Surface Book, it features the same 13.5” PixelSense touchscreen display with 3:2 aspect ratio and is the first device to run on Windows 10 S which Microsoft is billing as ‘streamlined for security and superior performance’. All apps have to be downloaded from the Windows Store, which ensures they are verified by Microsoft. The keyboard is covered in a material called Alcantara from Italy, which is used in high-end goods, giving your Surface Laptop a luxury feel. The material is treated with a polyurethane coating helping to protect your laptop from spills. 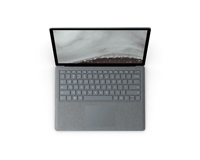 With the Surface Laptop, you have one of the lightest, with a weight of just 2.76lbs, and most powerful with a battery life of up to 14.5 hours. Available in a range of colours; platinum, burgundy, cobalt blue and graphite gold. Leasing a Surface Laptop from HardSoft gives you the flexibility of upgrade and warranty options and is tax efficient for your business. You also get the peace of mind that comes from dealing with a company that has been trading for 30 years. If you’d like to talk through the options available to you, give one of our expert sales advisors a call on 0207 111 1643. HardSoft has Microsoft Authorised reseller status and can offer impartial expert advice and will be happy to put together a quote to lease a Surface for your business. Or choose from across the whole of our Windows range. I am self-employed. Can I still lease a Surface Laptop? Can you lease a Surface Laptop to ‘start-up’ companies? Do you require a Directors Guarantee to lease a Surface Laptop? It’s something we ask for in about 5% of orders for a Surface Laptop. The main reasons we will ask for a Directors Indemnity are 1) New Start Company with no accounts filed 2) Accounts filed at Companies House that show a negative net worth or the value of the order exceeds the net worth of the company 3) Year on year declining accounts. Do you offer a Mobile Device Management solution? Yes we do we recommend the solution from VMWare Airwatch as our solution. Call us for a demo on Airwatch. We are the cheapest source for Surface Laptops for business on lease and hire. Since 1984 we have been specialising in leasing computers just to business users. Normally 2-3 days, though ask us and we can probably do better and we can deliver at weekends at no extra. We are authorised Microsoft resellers. It’s three years though remember you can cancel and we will collect the Surface Laptop after two years. Do I have to pay a lump sum at the end to own Surface Laptop? 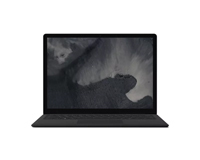 Our Flexi-Lease includes the option to own the Surface Laptop for normally just £1. If you choose the cheaper ‘Pure-Rental’ then you don’t get this option though you could buy it at the end of the three years but at the market/fair price. What operating system does Surface Laptop run? Windows 10 S is a specific configuration of Windows 10 Pro that offers a familiar, productive Windows experience that’s streamlined for security and performance. By exclusively using apps in the Windows Store and ensuring that you browse safely with Microsoft Edge, Windows 10 S keeps you running fast and secure day in and day out. How does Windows 10 S compare to Windows 10 Home and Windows 10 Pro? Windows 10 S is a specific configuration of Windows 10 Pro and has many of its features, but for security and performance it exclusively runs apps from the Windows Store and uses Microsoft Edge as its default browser. Who is Windows 10S designed for? Windows 10 S was inspired by students and teachers and it’s the best Windows ever for schools. It’s also a great choice for any Windows customer looking for consistent performance and advanced security. By limiting apps to those in the Windows Store, Windows 10 S is ideal for people who have everything they need in the Windows Store and prefer the peace of mind that comes with removing the risk of downloading apps from other places. Which apps and hardware work with Windows 10S? Windows 10 S works exclusively with compatible apps from the Windows Store. Since Windows 10 S has just been recently announced, we are working with our partners on app compatibility and to provide more detailed information Many hardware peripherals (such as printers) that work with Windows 10 today will work with Windows 10 S, but may have limited functionality. Since Windows 10 S has just been recently announced, Microsoft is working with partners to provide more detailed information. I bought an app on another Windows 10 PC. Can I use it on my Windows 10S PC? Apps purchased from the Windows Store are linked to your Microsoft account. In most cases, if you install an app from the Windows Store on another Windows 10 PC, you should be able to install it on your Windows 10 S configured PC if you sign in with the same Microsoft account. Can I change my default web browser on my Windows 10S PC? Microsoft Edge is the default web browser on Windows 10 S and Bing the default search engine in Microsoft Edge when customers are in Windows 10 S configuration. Customers are always in control of their Windows experience. When in Windows 10 S configuration, you can download any browser available in the Windows Store and can navigate to any other search engine website. If you want to download a browser (or any other application) not in the Windows Store, you can switch to Windows 10 Pro, at which time you can set the browser and search engine defaults of your choice. Can Surface Laptop be upgraded to Windows 10 Pro? If a Surface Laptop is switched to Windows 10 Pro from Windows 10S, can it be switched back? No. Switching to Pro is one-way. If you make the switch, you won’t be able to go back to Windows 10S. All of our Microsoft leases come with three years warranty. If your computer needs a repair under warranty, we will collect, repair and return all in a timely manner. We also have a pool of loan machines that you can utilise so your business can run smoothly. Our lease also includes 3 years free telephone technical support. You will have access to our IT help desk to fully support you throughout the duration of your lease. The HardSoft technical team are fully trained, on the road and in multiple locations, they are available all over the country. A HardSoft lease offers so much more and is so flexible! With our fantastic upgrade options you can Retain, Renew or Return your computer after just 24 months. You can keep up to date with all of the latest technology, don’t worry about falling behind! We also have a range of payment schedules to choose from, freeing up your capital and giving you more freedom to expand.